Your hospitality company may be relying upon an older PBX phone system that you’ve had since you launched your business. However, cell phones haven’t been the only communications innovation over the years. Even when legacy business phones work just fine, updating to an innovative telephone solution can have a significant impact on your hospitality business. We’ve rounded up the top five communications innovations that can help your business streamline operations, provide better service, and increase your bottom line. A business VoIP phone system for hotels (Voice over Internet Protocol) harnesses your internet connection to securely transmit phone calls. With VoIP, small businesses have access to big business communications tools. For example, with the Ooma Office phone service, all users can access 35+ calling features including extension dialing, ring groups, music on hold, conference bridge, and more. In particular, VoIP phone service can help you provide better customer service, a key component of achieving positive customer experiences. In the 2018 ACSI Travel Report, highly ranked customer experience benchmarks in hotels include ease of making a reservation (85%) and call center satisfaction (83%). One way to target these customer experience aspects is to make it easier for customers to connect with staff. By using the ring groups feature of Ooma Office, you can leverage technology to help callers connect with a person rather than being sent to voicemail or placed on hold. Here’s how it works. After establishing the series of people in a ring group, you then decide if you want the phone numbers to ring consecutively or sequentially. For a group of reservations staff, phones can ring consecutively so the first available person can pick up. Alternatively, consecutive ring patterns can automatically ring phone numbers sequentially until a call is answered. The mobility of your staff is increasingly important to running a successful business. Managers need to be accessible even when they’re not on-site, and your hospitality phone service needs to be accessible to off-site managers, housekeeping staff, delivery drivers, and remote employees. To help your staff stay connected and in sync, you don’t need to purchase cell phones for staff, nor do you need to have staff use their personal cell lines for work calls. 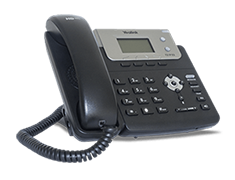 Instead, VoIP offers an innovative solution that gives employees full remote access to their work phone. When an employee installs the Ooma Office free calling app (iOS, Android) on his or her personal device, the add-on phone line lets the employee access the work phone from a mobile device to place outgoing calls, receive incoming calls, and have one-touch voicemail access. According to the Pew Research Center, 77 percent of American adults own smartphones. Creative business owners can provide staff with complete remote telephone access without having to purchase additional hardware. Maximizing your staff time is critical to success in the hospitality industry. That’s why many hospitality companies appreciate features such as Ooma’s virtual receptionist, which automates the process of routing incoming callers to the correct extension. With this service, incoming callers to a hotel can select the extension that they need, such as reservations, events, or catering. Included with your phone service, the virtual receptionist is helping many industries work smarter by leveraging technology. On average, hotel chains spend about 4 percent of revenue on telecom, according to IBM’s industry report, Hotel 2020. At Ooma, we think you should have access to advanced telephone technology at affordable rates. 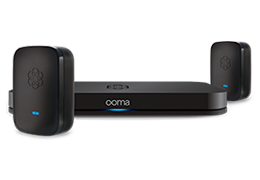 Ooma Office‘s comprehensive business phone service with 35+ features costs just $19.95 per user. Our customers report that they saved $6,185 over three years after switching to Ooma Office, excluding hardware, taxes, and fees. With savings like that, we prove that you don’t need to spend more to get more. There’s a big market for gadgets and services that save you money or time, but these supposed solutions may cost your business in other ways. It could be increased demand on your IT team to install or troubleshoot tech problems. It could be the increased frustration from users who face complicated tools that don’t provide substantial value. While choosing a user-friendly communications system may seem like a minor benefit, ease of use can result in significant time savings and help prevent unexpected labor costs. Business News Daily said, “What makes Ooma Office an ideal phone system for very small businesses is how simple it is to install and use,” noting that it takes just 20 minutes to set up. The Ooma Office phone system has been widely recognized for its high-quality service and satisfied customers. When PC Magazine named Ooma as the #1 VoIP business phone in the industry, it cited the service’s very high reliability, call quality, ease of use, and high customer satisfaction rates. The industry average for customers who are likely to recommend the service is 23 percent, yet Ooma had the highest score of all providers surveyed, with 69 percent likely to recommend the business phone service. This top ranking is not a fluke. Ooma has consistently been providing businesses with high-quality and user-friendly service. For the past six years, Ooma Office has been named the #1 phone service in PC Magazine’s Business Choice Awards.